Times They Are A-Changin’… Especially for Retailers. Every 20 to 30 years Retail goes through a seismic change that transforms the way in which we engage and service our customers. There was the shift away from the 1-on-1, highly consultative sales in the early 60s to the world of big-box and multi-category retailing, followed by the e-tailing, commoditizing dynamic that emerged with the Amazons and eBays of the world in the early 1990’s. We’re now witnessing Retail’s next transformation: where the power of data, social media, and Omni-channel delivery are rightfully empowering our shoppers to demand personalized, customer-centric experiences in return for purchases and loyalty. 1) Our customers are smarter and more empowered than ever before. Gone are the days where shoppers relied purely on marketing and the word of in-store associates to make decisions. Now, recommendations from friends on Facebook, trends on Twitter and Pinterest, video reviews and other interest-based content guides their decisions. Studies show that shoppers typically conduct 6 searches before finding the product that best matches their needs, and consume 12 sources of information before making a purchasing decision. 2) The customer experience transcends online vs. offline. We’ve become accustomed to thinking about the worlds of Online vs. Offline, oftentimes creating a delineation in our strategies across both. But the reality is that our customers simply exist. They want to interact with us without differing experiences between their connected and physical engagement with our brands. It is estimated that over $2 trillion of offline Retail spend is influenced by experiences Online – and new experiential locations for Bonobos & Warby Parker demonstrates the reverse effect. So remember – your customers continue to exist outside of boundaries convenient to your business. 3) Customer expectations are higher than ever. With new technology, a connected world, and a rush to convenience, customers demand, and deserve more. Businesses that accept the empowered customer, and leverage technology to solve for their friction points will be the winners. Those that don’t face the infamous Blockbuster outcome. 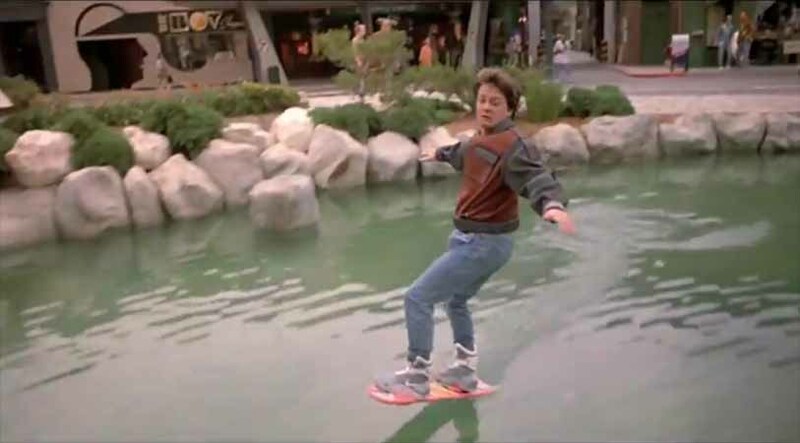 It’s 2014, by now we were supposed to be living in the world of hoverboards and, per Tom Cruise, face-recognizing virtual store associates. So how is it possible that we’re still doing the same old same to attract attention, mindshare, and loyalty? Last year, 5.6M tons of DM advertising ended up in landfills–44% of which was unopened. Similar figures exist for email marketing. And what passes as ‘new’ ends up being re-purposing old content through a new medium (e.g. Retailer coupon apps). Solution: Use the power of your data to define the customer segments that actually matter. This means going beyond Geo, Store, and Category analysis, and instead looking at granular groupings that cut across multiple variables to give you actual personas to target. We recently helped a large retailer define attitudinal dimensions through focus groups and other qualitative studies to help develop new buyer personas that we incorporated into all of the marketing messaging for the rest of the year. Since launching the new messaging strategy, that retailer saw 167% lift in the number of leads they received. Retailers exist to service their customers. And sometimes that means going beyond ‘the sell’. Today’s customers – particularly millennials – are asking us to understand who they are, and what they are interested in, in order to deliver them what they want. Solution: We’ve found that programs that focus on connecting with customer interests, and what inspires those customers, ultimately drive results and long-term loyalty. We’ve helped a large healthcare company develop a community of over 700,000 members that connects their target audience to free content and tools that are aligned with their customer’s interests…not the company’s products. By doing this, they have seen a huge lift in customer engagement, lower cost of acquisition, and most importantly a higher conversation rate from these members to sales. Your customers should define the customer experience, on their terms. And they generally tell us what they want. According to Accenture’s Seamless Retail study, not surprisingly, about 9 out of 10 shoppers said they want Retailers to let them shop on their own terms, ultimately in an Omni-channel manner. That same data rings some alarm bells. For example, three out of 4 respondents said they want consistent pricing across channels, yet only 16% of Retailers deliver on that expectation. While there may be valid ‘internal’ reasons for a bifurcated experience (e.g. for pricing, economic realities differ across platform), in a world of increasingly empowered customers, with greater expectations than ever, it’s on us to shield them from that complexity. Solution: Empower your customer-facing assets to deliver an experience that wins. For most Retailers, that means looking to your store associates. They are your brand stewards at the final mile of consideration and purchase for many customers, and your associates should be equipped to not just sell product, but to be your experience and brand ambassadors. We’ve worked with several retailers to enable their sales associates to have better, more targeted conversations about loyalty programs and credit offerings. This loyalty spin on associate enablement builds stronger relationships with customers, and ultimately increases program membership that really impacts the bottom-line. https://www.market-bridge.com/wp-content/uploads/2014/07/charisse-kenion-502611-unsplash.jpg 3741 5148 MarketBridge https://www.market-bridge.com/wp-content/uploads/2019/02/market-bridge-40.png MarketBridge2014-07-23 20:08:122019-01-02 15:31:27Times They Are A-Changin’… Especially for Retailers.